WHAT DOES OUR BACKYARD LOOK LIKE? I feel very fortunate that our backyard is completely fenced in and nicely manicured by the owner (not us)! On the flip side, we aren’t allowed to have any type of play structure or even place items on the lawn that cannot be moved daily to protect the integrity of the grass. Insert rolling of eyes here. So with that said, what can we do? 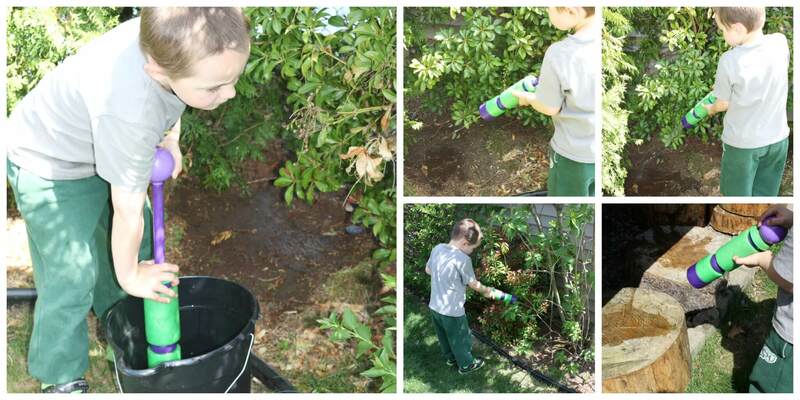 We make the most of a small backyard with simple play when we are home. What does your backyard look like? WHAT DO WE HAVE TO PLAY WITH IN OUR BACKYARD? Stepping Logs (cut by a local man) We could not sink them in the ground, so they are not tall but do vary in height from 6-12″. We enjoy them many ways, but mostly for hopping and stepping around the yard! Small toddler climber/slide combination he uses to climb up and over or pretend it’s a ship! 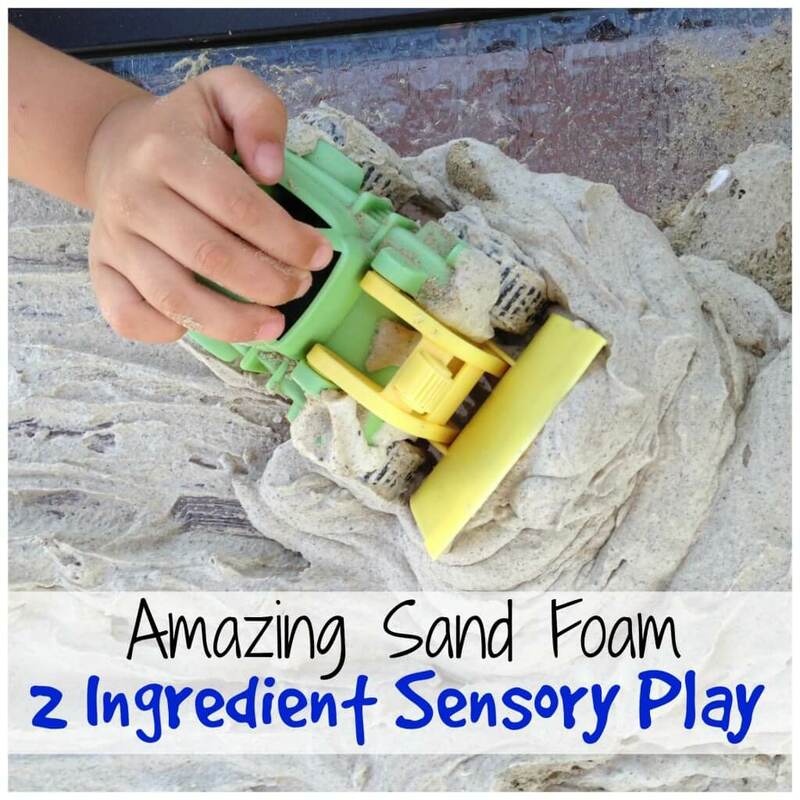 Sensory Table for sand play. Check out him playing here. Can easily be brought in at night. WHAT ELSE DO WE ADD DAILY TO THE BACKYARD? Do I have everything I would like to have for our backyard play time? No, but we are making the most of a small backyard just the same. I try to come up with some fun and different activities for backyard play when we are home (playgrounds are a must too)! 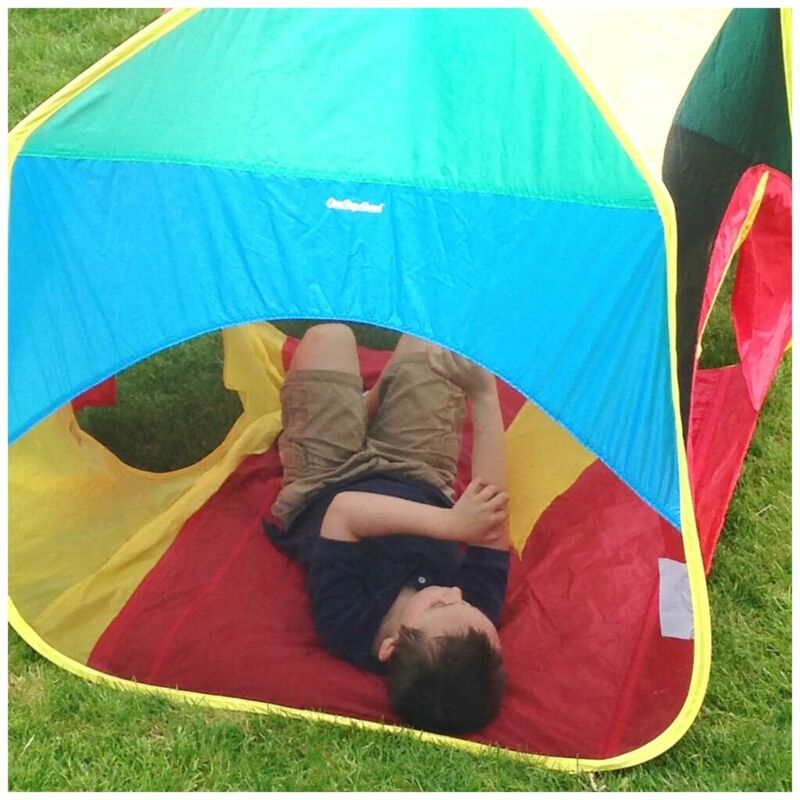 Mixing planned activities, simple play and sports activities are a perfect combination. Here are 10+ ways to enjoy stress free backyard play ideas. NEW! We added a DIY Water Wall! 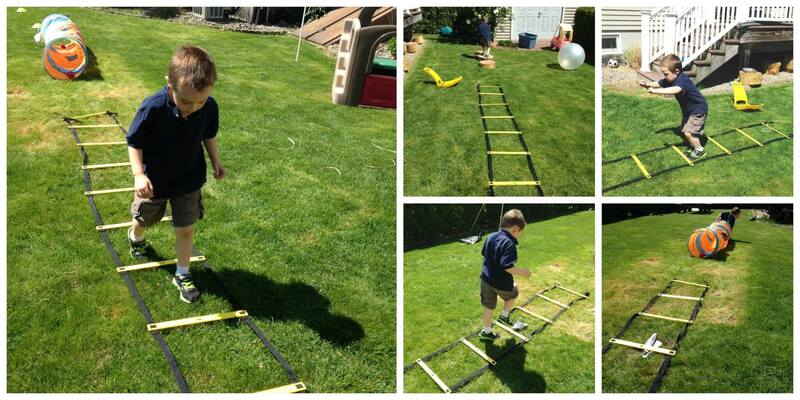 With a few simple items, you can create and re-create simple or complex obstacle courses. Grab a stopwatch too. 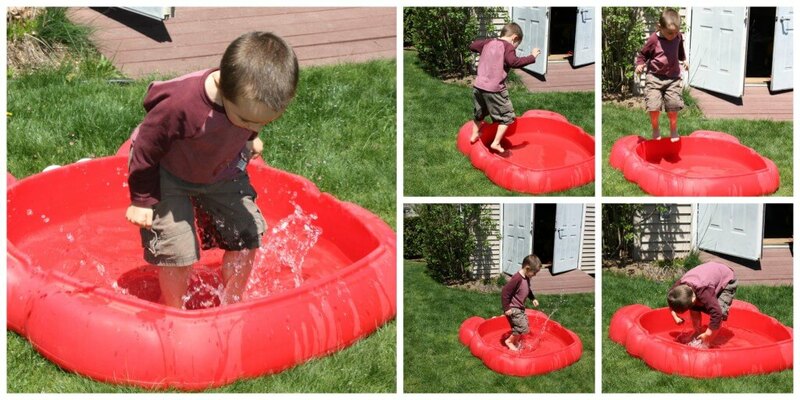 Puddle Jumping, No Rain Needed for This Backyard Play Ideas! Enough said! 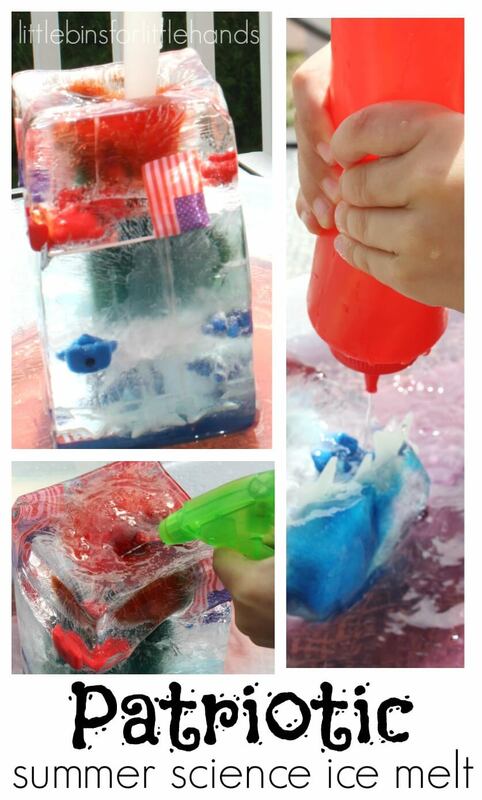 Great to cool off with on a hot day. 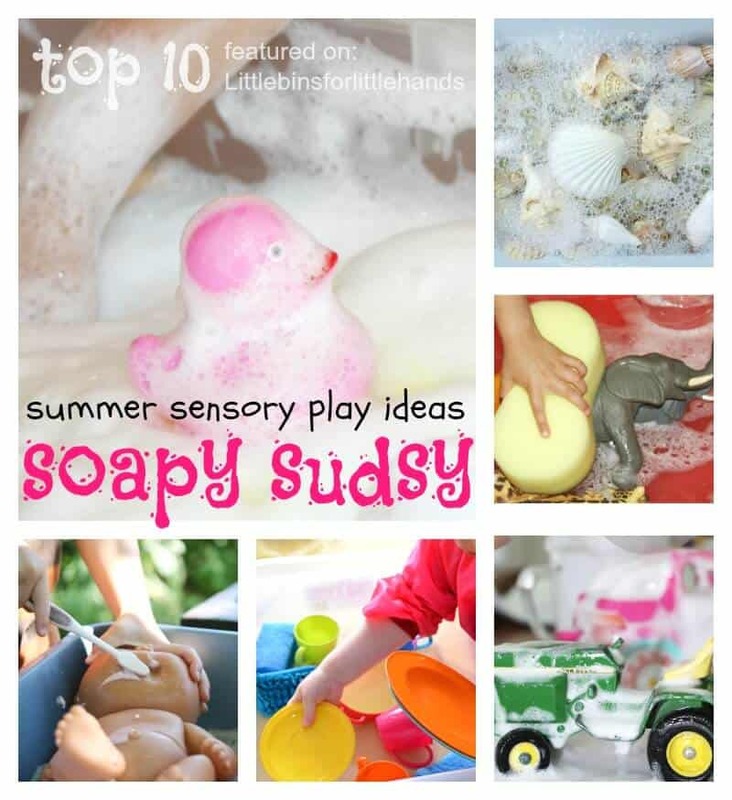 Also makes for great gross motor sensory play! 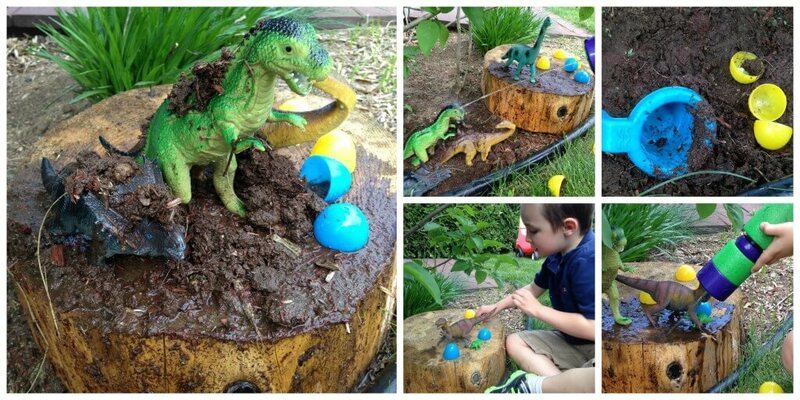 Create a small world under a bush or by a tree or make one in your water table like this dino bin! 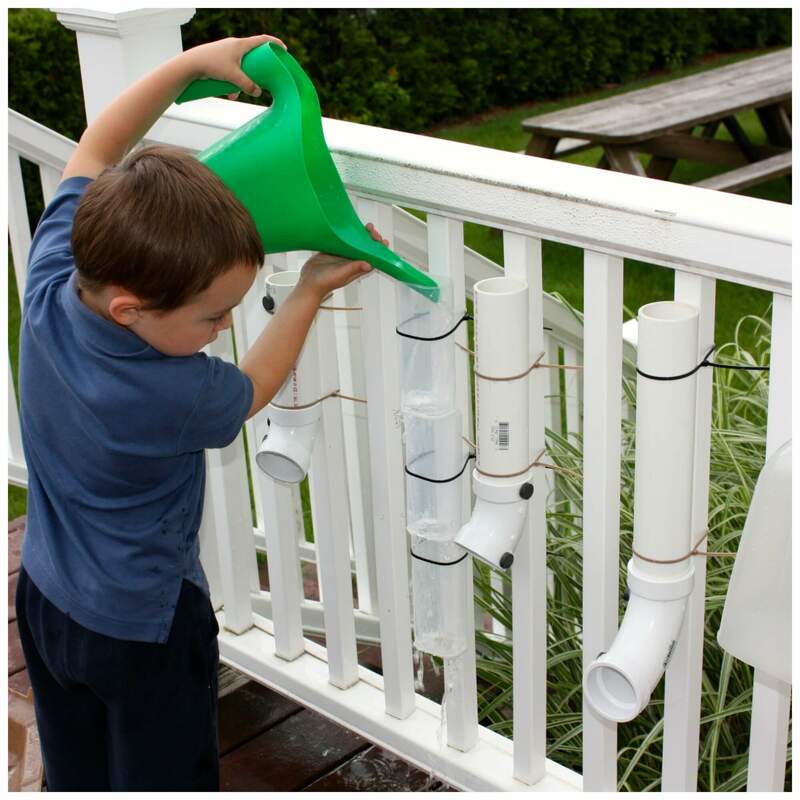 This is a timeless activity for backyard play. All you need is a bucket and a sponge. Bring the hose out too! We always have an assortment of balls available. We also had some large logs cut into stepping stones! 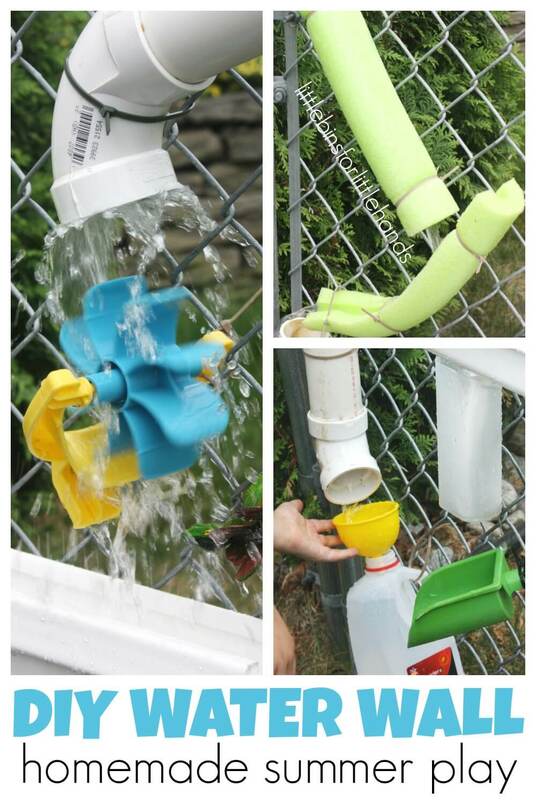 Use recycled containers and zip ties. We grab a few of these from the dollar store every year! Everyone loves them and they are perfect to cool off with on a hot day. They also make for an excellent game of tag or race around the yard kind of fun. Great energy burner. 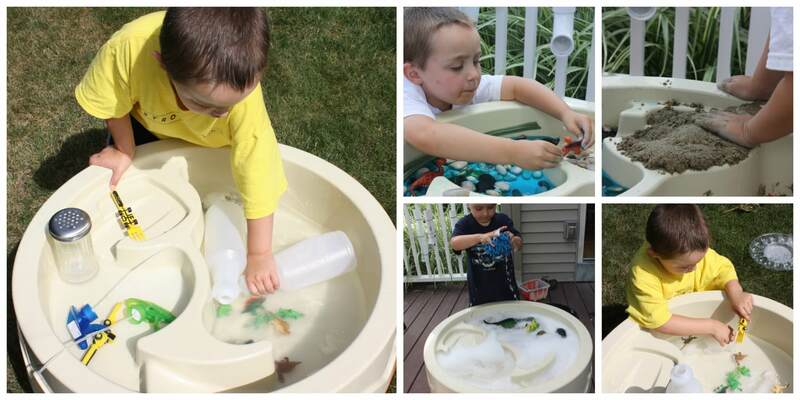 Water Table Play for Ice Melting or Small Worlds too! 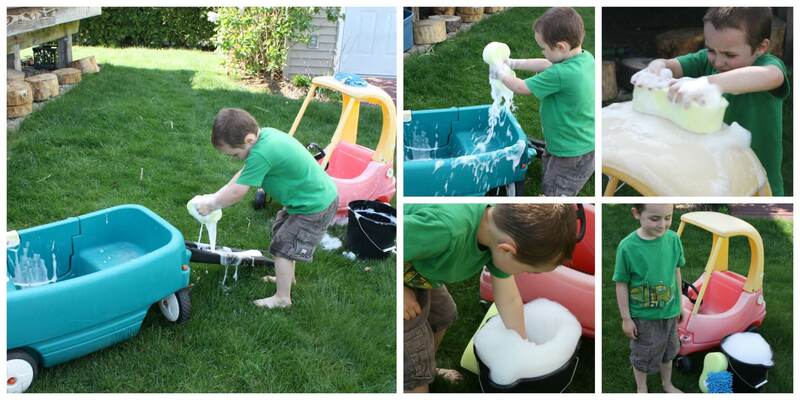 Make super simple sand foam that’s loads of fun! The perfect place to rest, read, and play games! We need to keep a traditional sandbox off the grass, so we made a deck top one with a large sensory bin! 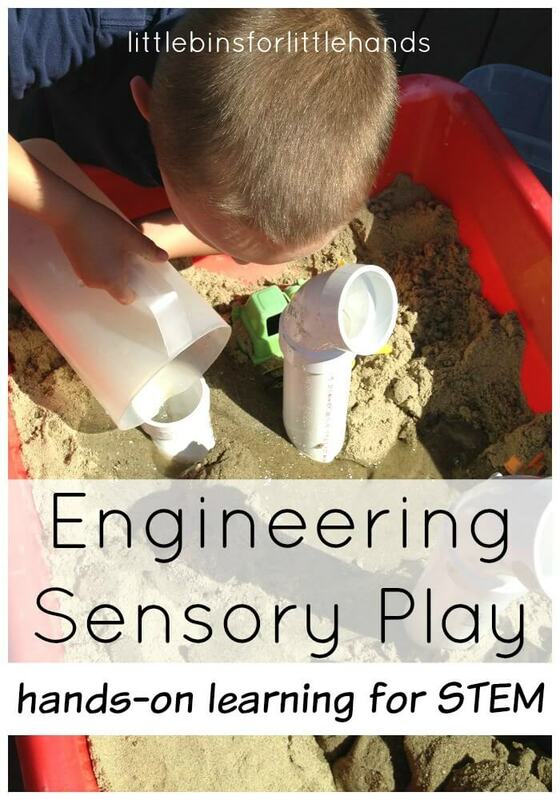 Check out this cool engineering sand play or our sandbox volcano. Both are terrific activities outside! I hope we have inspired you to come up with some new backyard play ideas for your space. There’s nothing better than enjoying a stress free summer with kids! 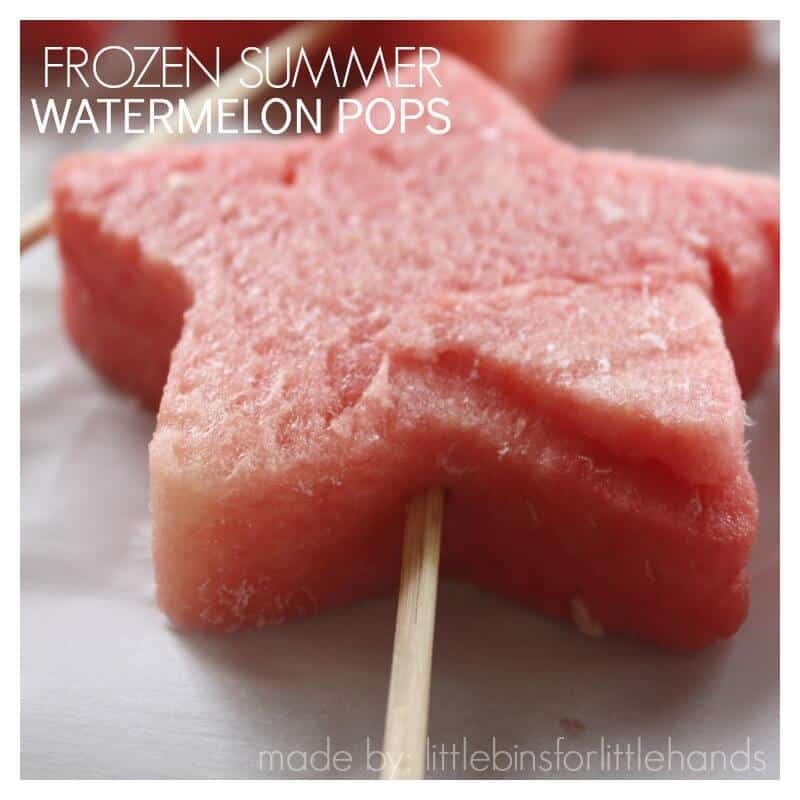 Make some of our frozen watermelon pops for a healthy and refreshing treat! 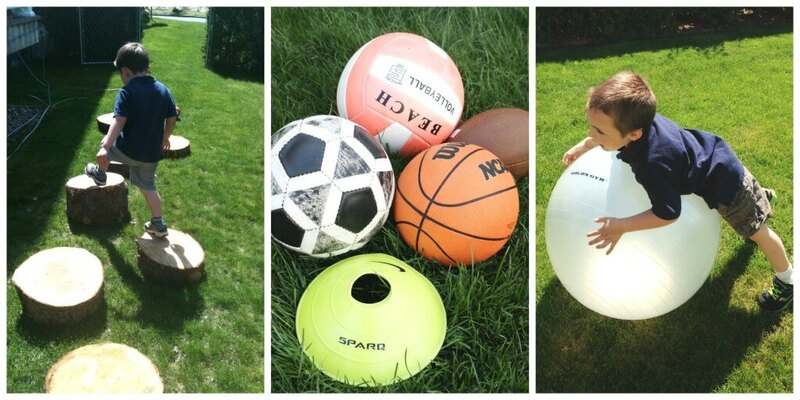 PERFECTLY SIMPLE BACKYARD PLAY IDEAS! 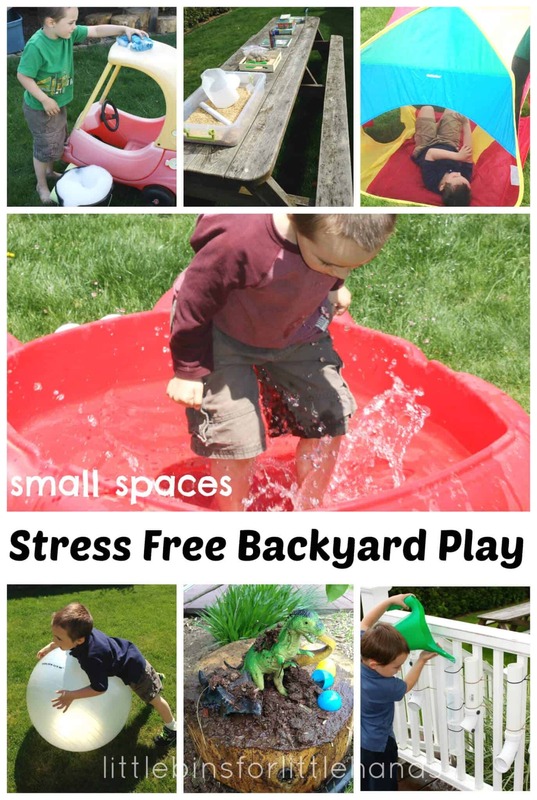 How To Create Stress Free Backyard Play! I am excited to be particpating in this great week long backyard play series ! 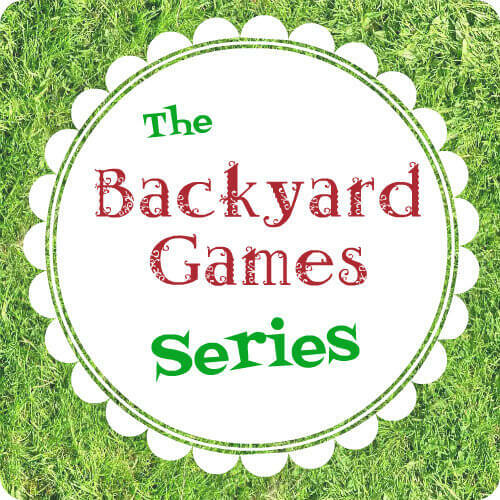 Please head over the homepage, Backyard Games Week Series to checkout all ideas! Summer time is a great time to enjoy your backyard. Small backyards or large backyards, there are many ways to enjoy being outside at home! Our backyard is on the smaller side, too, but I love how you’ve utilized yours! My daughter loves the water squirters too – and I’ve always wanted to try a water wall! Sounds like you pack a lot of fun into the space you have! Love that they can all be picked up at the end of the day as needed, too. These are all fabulous ideas! Your kids aren’t missing out on a thing 🙂 It all looks like lots of fun with a good dose of learning thrown in! tickled we inspired you:) thanks for the mention. Such great ideas here! Pinned.